As an independent business operator in the Document and Information Management (DIM) industry, you no doubt realize how important it is to have a sound exit strategy for your business. However, there is a lot more to an exit strategy than wishing for a successful, hassle-free sale process and a strong valuation. Business owners often say “If someone makes me a great offer, I am always for sale…” In reality, there is no such thing as an unsolicited ‘great offer’. Remember, a buyer will always offer the lowest amount necessary to get a deal done. So if they are the only buyer making an offer, they will offer less than they would if they were competing for your business. Creating a competitive bidding environment, sourcing all potential buyers, successfully marketing the business and managing the sale process, while at the same time running the business, are things typically beyond the ability and bandwidth of most business owners. 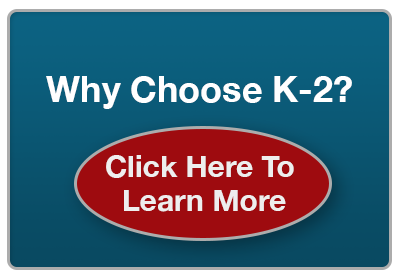 This is where K-2 Partners can really help you achieve your goals. We are the industry experts when it comes to selling your business. Our industry experience and relationships allow us to analyze and present your business in the most favorable light to all the right buyers. Our proven competitive bid approach results in the highest valuations under any market conditions and our unwavering focus throughout the sale process ensures the highest probability of deal completion. We manage the sale process end-to-end, allowing you to focus on what you do best- running your business. Therefore, engaging K-2 Partners is the first logical step of your sound exit strategy.